At Shanahan Orthodontics, we believe in personalized care for you and your family. That’s why each and every treatment decision is based on your needs and desires. Want braces but not the metal? If so, consider clear braces. 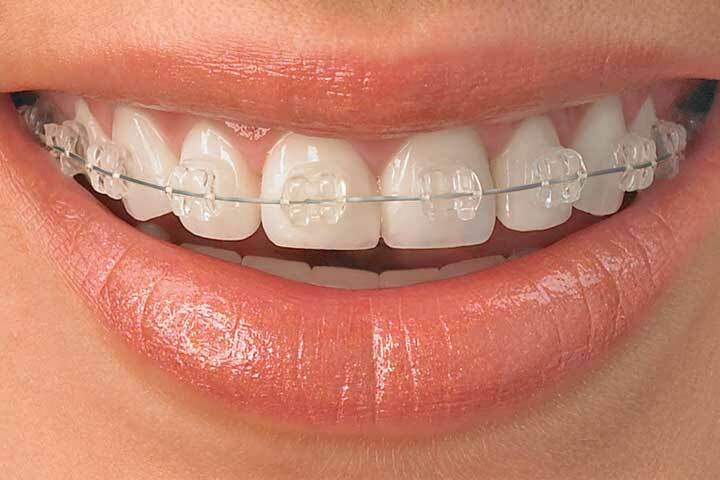 Clear braces are an excellent option for anyone looking to straighten their teeth without metal mouth. What is the difference between clear braces and aligners? There are many differences between clear braces and aligners, the most obvious is that clear braces utilize the same technology as traditional metal braces except that they are clear! Clear braces are just as effective as metal braces, but they allow you to hide the fact that you are going through orthodontic treatment. Clear aligners are custom made appliances which move teeth in a different way. They can be removed at any time and are therefore not good for people who arent good at remembering to put their aligners in. Clear braces are a great alternative to traditional metal braces for anyone who wants to straighten their teeth without the metal mouth. Dr Shanahan will help you determine whether they are the right treatment for you.